Many of my clients would LOVE to get their photographs in order but they are afraid of even the thought about starting the project. I am here to say let’s face this fear head on and preserve your family memories without the fear! Before I started my organizing business I always loved taking pictures, printing them out and then putting them in an album. Yes, to this day I still put my pictures in photo albums and keep them on my bookcases. I am going to address printed photographs only here and not address photographs on cellular phones or other computer devices at this time. Your goal at the end of this project is to have an easy and fun way to display your family photos so you can share your memories with your loved ones. 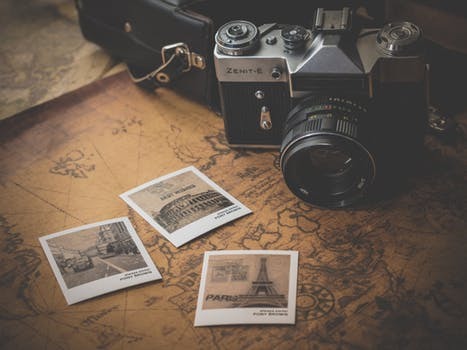 First step is to gather all of your photographs that you have around your house and find a place that can be used as a temporary sorting area while working on the project. For example a card table, dining room table, or some space in your basement. As you gather the photos, go through them to dispose of duplicate photos, ones that are out of focus, and photos that you have no idea what the picture is or the people in them. The next step is to go through your photographs and start putting them in specific categories. For example your family holiday gatherings, birthdays, graduations of all grades, vacations and special trips. Once you start sorting and putting the photographs in categories, you will see how many you may have for an event and you will start to see a pattern and the direction that you want to go in and how to store the pictures. I want you to know that there is no right or wrong way to sort and put your photographs in categories. You can have an album or photo box of just family vacations, one for each child or just by chronological order. By getting your photographs organized, this is the way you would want to tell your story and all of the wonderful times in your life! There are 2 main ways to store your photographs and that is a photo album or a photo box. Nowadays photo albums have acid-free sleeves so your photos do not turn yellow or get damaged. This process does take time to put each photo in the album but if you want to put together an album for a specific event, this is a great way to store them and easy to show others. If you have too many photos for one event or want to just put all of your photos together for 1 year, photo boxes are a great way to store them. This does not take as much time and they are safe, secure and protected. Many of the photo boxes come in unique designs related to travel, special events, children or just plain colors. The boxes store nicely on bookshelves and can stack easily. Getting your photographs organized does not have to be a scary or dreaded project but have fun in the process! If you start with some of my suggestions here, you will find it is fun to go back and see how your family and friends have grown through the years and remember the great times. Take some time to go through the sorting process now and if you just spend 30 minutes or 4 hours on the project, it is a start! If you are looking for help with your photo project or have some questions for me, feel free to contact me and I would be happy to work with you. Good luck with your project and start preserving your family memories now!